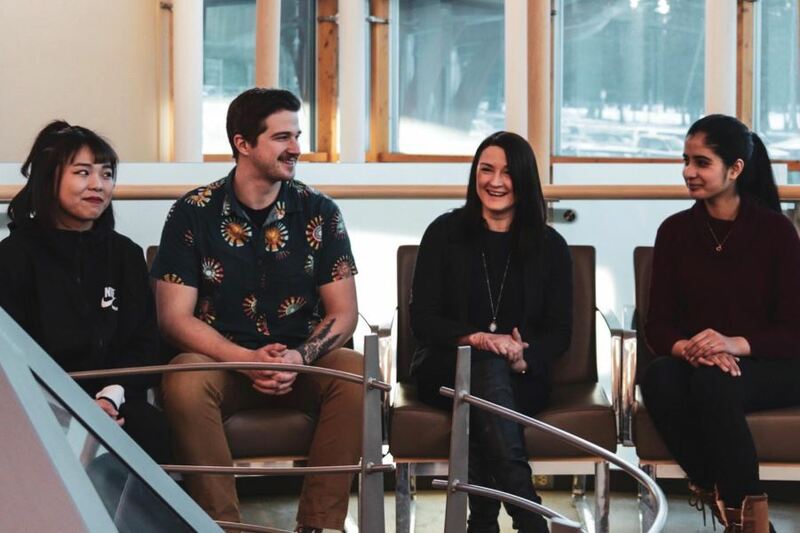 College of the Rockies Tourism Management students Wen Xi, Braydon Lemay, Rebecca Beresford-Orr, and Kudratpreet Kaur were named the top team at the recent Kootenay Rockies regional Winning Pitch competition. Organized and presented by go2HR, B.C.’s tourism human resource association, the 2019 competition saw student teams develop a new product or service that supports the development of accessible tourism opportunities in the Kootenay Rockies region. The College team’s winning proposal was for Kimberley Alpine Adventures, which looked at developing accessibility for the Kimberley Alpine Resort during all four seasons. The team will represent the region at the provincial finals in Vancouver later this month.